Alesso (born as Alessandro Lindblad) is a Swedish DJ and electronic dance music producer. 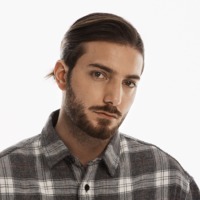 Specializing in progressive house, Alesso achieved worldwide attention and popularity in 2011 with wide support of his original productions and remixes from the likes of Avicii, Swedish House Mafia, Tiësto, Sander van Doorn, Kaskade and other well established DJ's. His remix of "Pressure" was one of the most played EDM songs of 2011. He made his debut on DJ Mag's Top 100 DJ list in 2011, garnering the 70th spot. Being one of 2011's hottest artists was enough for MTV to name him an EDM artist to watch in 2012. On March 24th, 2012, Alesso debuted his first BBC Radio 1 Essential Mix.